is handcrafted using a double twist of Sterling Silver . 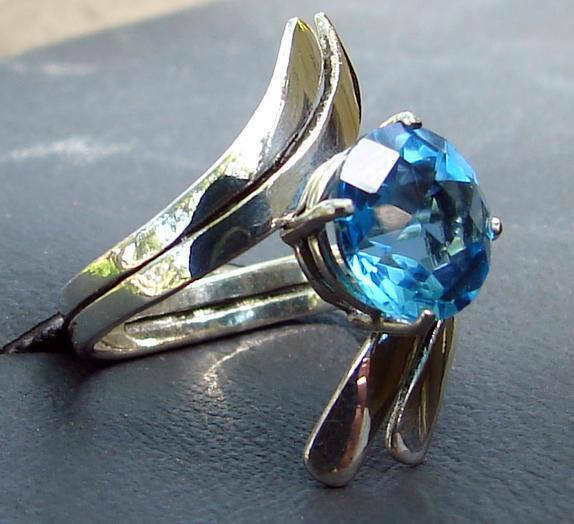 A four carat 10mm round cut Blue Topaz is set between the twist using a Sterling Silver cage setting. 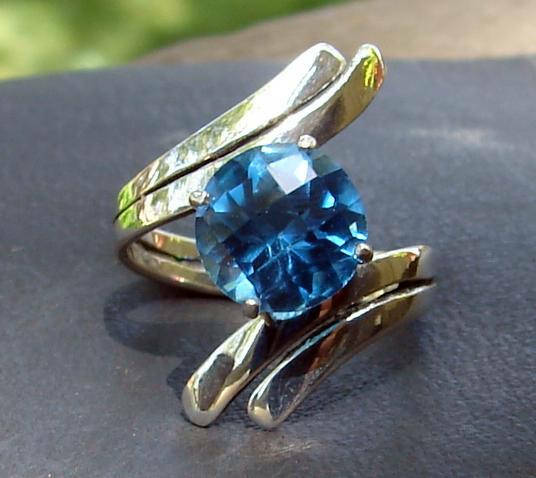 The setting is subtle to give the design a look that feels as if the stone is being pinched between the twist but not so subtle that it doesn't hold your stone safe and secure.